And I didn't like UNI one. 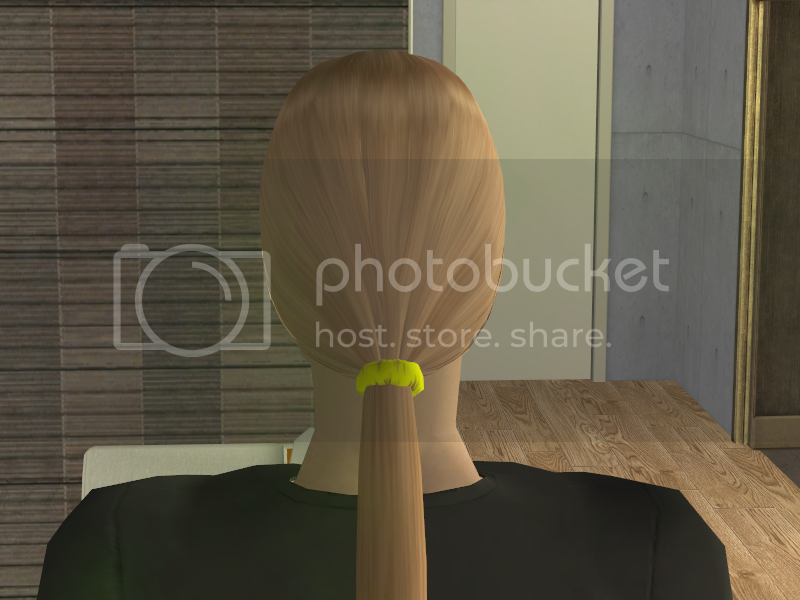 I wanted a casual low fitting ponytail that covers the ears. Bone assignment of the tail need some adjustments and I plan to add some more wispy bits and some asymmetry.I try to keep it under 13K which for modern CC hair is reasonable - I think. Prolly change hairband to UNI one too. What do you think?Is it worth uploading? It looks really good so far! I agree, so many CC hairdos are too big and poofy. 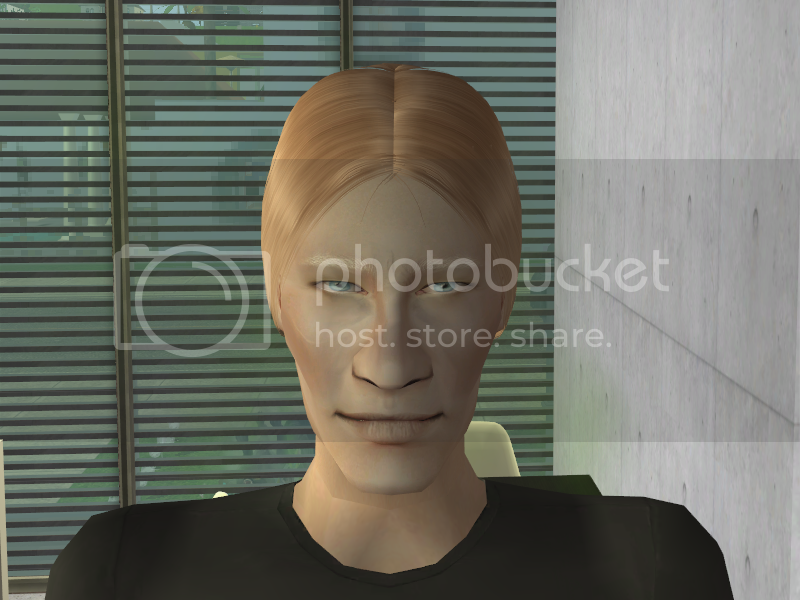 This looks like a more realistic long hair for men. The tweaks you mention sound good - especially changing the hairband texture - grabbing the Uni texture is a good plan. 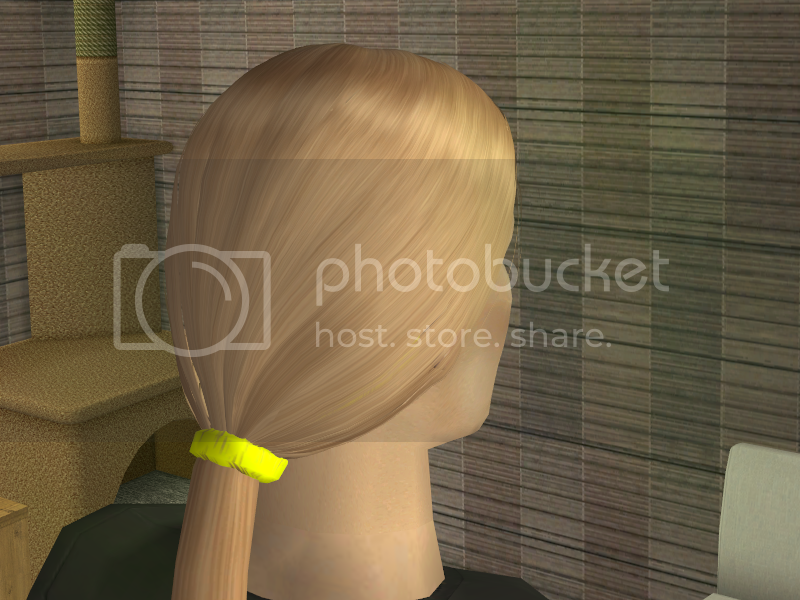 This one is quite flat and bright which is distracting, especially next to the realistic hair texture. As for the poly count - 13,000 is actually quite high. Maxis hairs are usually no higher than 2500, and most are much lower. I would use that as a guideline, not other people's custom hairs. For a simple shape like this one I'd probably want it under 3000 polys (and certainly no more than 5000) if I were going to put it in my game. It's looking good, @Oeselian. It's not a style that I'm crzy about, so it might never show up in my game. But that is not due to the quality of your work. I would agree with @fanseelamb, though; this hair model certainly does not look complicated enough to warrant anything over 5k polys. Reducing it to under 3k would truly be preferrable. EDIT:I was thinking putting up two versions - original poly(10K) and reduced poly(3K-5K) - so everyone can choose which they want. will you be making it in black? it might work for an Indian! Nice! Personally, I'd like a different hair band, but other than that I like this a lot. I can see some of the gents in my medieval 'hood wear this. And some of my modern ones, too. I think making high-poly and low-poly variations sound like a very good idea - like you say, then people can choose.